Abandoned, or lost and unclaimed by owners. Unwanted by owner and threatened with destruction, sale to a dealer or sale/gift to an undesirable home. 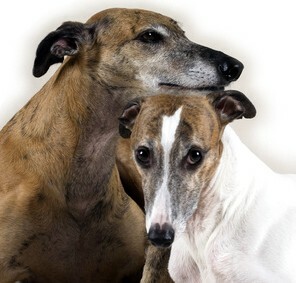 Ill-treated or neglected, suffering from mental or physical distress and reported as such by an observer (confirmed by a Club member or other Whippet owner). Vetted by a Rescue representative. Recommended by a whippet owner to the Rescue. Recommended by a veterinary surgeon. Occasionally our members are advised of a Whippet that needs to be rehomed due to different circumstances. 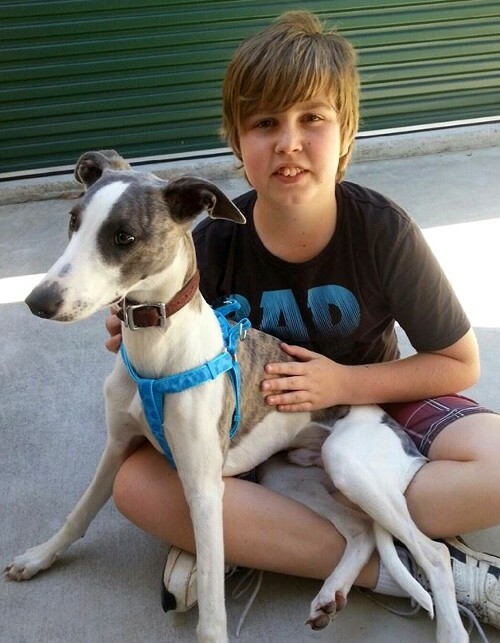 The Club also requires foster carers in different area's of Queensland to take care of any Whippet that needs care until a home can be found. If thinking about owning a Whippet, it is important to take into consideration that they need company and enjoy being close to their owners. Most whippets don’t do well being left by themselves - and two Whippets are always better than one. Whippets are fine to be left alone for short periods of time, but if you will be away at work every day, always out and about, or looking for an outdoor dog that will have little interaction with you - the breed really isn't for you. They are a very affectionate breed, and although not 'lap dogs', love their people and being close to them, and need to be part of the family when you are at home. As much as Whippets like exercise and times of romping outdoors, they are first and foremost comfort loving dogs that do best living indoors, having their own cosy bed and sharing their owner's life ... and the lounge chair - or more preferably snuggling up and sharing their owners bed. The Club goes to great lengths to ensure that each and every rescue whippet is re-homed into the most suitable home possible, and to try and ensure these will be their forever homes, as well as to find the right Whippet for you. 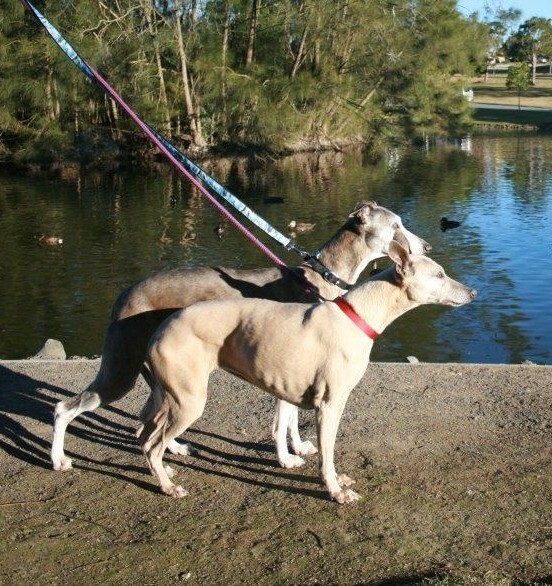 If you wish to be placed on our Rescue Whippet Adoption List our Adoption Application Form MUST be completed and returned by mail or email to the Whippet Club of Qld Secretary before you will be considered for addition to the list. Due to the cost outlay that is involved with rehoming each dog (ie: vet health checks, desexing, vaccinations, foster care costs, etc) the club asks a very affordable Adoption Rehoming Fee of $250 (negotiable) for each dog. The cost of which is accessed individually for each dog, and will be discussed at the time of adoption. This is a guide to help you and your whippet settle into his/her new home. Puppies of course are a different matter as they haven’t bonded to an existing owner yet. Think about the situation from the dog’s point of view. They have left their whole world behind, they have probably had a long car or plane trip, they have now arrived to an unfamiliar house, people, garden, food, routine, voices, noises, smells etc etc. Remember that no two dogs are the same although they may be the same breed. Please don’t assume just because your existing/last dog didn’t jump the fence, rush out an open door, jump out of the car, that your new dog will do the same thing. The first thing you should do is to make sure your new dog has a secure collar for around the house and preferably a sight hound/martingale collar for walking and outdoor use. Harnesses aren’t recommended for whippets as they can easily back out of a harness. There should be a tag with his name and your contact phone number. Update his microchip details asap. 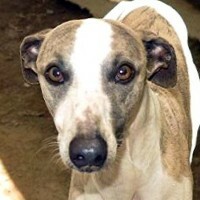 If you don’t know who his details are registered with you can go to www.petaddress.com.au and enter his microchip number. If you don’t know his number then a trip to the local Council or vet is in order so they can scan for his number. Please make sure you have a car harness ready before you collect your dog. He needs to be secured in the back seat while driving and also for his safety when the door is opened. You may consider a dog crate for the wagon or 4WD. The last thing you want is for you to get him home and he jumps out of the car and takes off. Remember in a car accident unsecured dogs become projectiles. If you have an existing dog let the dogs meet out on the footpath or neutral territory before taking them into the house. Take your new dog for a walk around the house and garden while on lead as you show him around. Don’t keep forcing yourself on your new baby. Give him some space but do talk to him and spend time with him. Let your new dog settle into your household for a week or so before you start introducing him to your friends and neighbours. Let him bond with you and your existing animals. If you need to desex him give him a few days to settle first. Give him a safe quiet area where he can go for quiet time on his bed without being disturbed. If you have children let them know that if the dog is on his bed then they are to stay away. Feed your dog separately from other dogs and ask the children to stay away while he is eating. For the time being feed him the same food as he was fed in his previous home (if you know what it was). Whippets’ tummies can be easily upset. You can introduce new food slowly, mixing it with his existing food. It isn’t unusual for him to drop some weight or not eat for the first day or so. This is due to stress and change of environment. Things should settle down quickly. Do not leave your dog outside unsupervised ever. In fact keep him on a lead while he is outside for the first couple of weeks. Same thing applies when out walking. NEVER NEVER let him off lead. If down the track after you have bonded and you have your recall down pat and the area is fenced and safe then consider letting him off lead. It may be worth your while to invest in a ‘long lead’ approx 5m which you can leave on the dog when working on recall. Also can be left on while in the park and if your dog does take off it is easier to catch. Leads can easily be made by purchasing webbing by the metre from Spotlight and a trigger swivel clip for dog leads from any hardware store. Sew one end to make a lope as a ‘handle’ and securely sew the clip to the other end. Practice your recall with him while he is on lead. When he does come to you reward him with a ‘high value’ treat. Something you will only treat him with when you want him to do something. I keep my ‘high value’ treats for the park only and when they come back to recall they are rewarded. You could teach him to respond to either a clicker or dog whistle. If you go to work and the dog is going to be home alone then give him a safe secure area where he can get out of the weather. Try and keep this area away from fencing. If he has access to the house don’t give him the run of the whole house. Smaller areas give the dog a sense of security. Leave him some toys or a bone to chew while he is by himself. If you have two dogs NEVER leave them alone with bones. Sure fire way to cause a fight. Even if they never fight over anything else. Dog crates are a great idea and most whippets are crate trained from birth. This becomes their safe nest area where they can go for time out and also sleep at night. Make the crate a positive experience for the dog where he can eat his treats or play with his toys. For dogs that suffer from separation anxiety crates are a wonderful tool when used correctly. Dogs can be left there for short periods of time safely where they can’t destroy the house or try to escape. Start the way you mean to continue. Keep a routine going as this will help him settle quickly. If you have questions or just want to chat about your dog please don’t hesitate to contact myself or if you purchased your dog from a breeder they are more than happy to hear from you. Good luck and remember stay calm and positive. Your dog will feed off your stress and anxiety. Bizzy - fawn 7 yr old, male, desexed, microchipped and vaccinated.He is afraid of loud noises and thunder. He doesn’t mind older children BUT no cats or small animals in his new home please. Angie - 10 yrs old, female, desexed, microchipped and vaccinated. She too is afraid of loud noises and thunder. No cats or small animals for her either and only older children would be suitable. We are looking for a home with someone home most of the time where the dogs are allowed inside. A fully fenced secure yard. These two are a bonded pair and are to stay together. If you think you could offer this beautiful pair a loving safe home please complete our adoption application form as requested on this page. Whisky now has a lovely new home in Cairns . It is with great excitement and some happy tears that we can now let you all know that Piper and Digby have found their furever home. Last year their new Mummy and Daddy had to say a very sad goodbye to their darling whippet Breeze who reached the amazing age of 20 years. It has taken a little while for the family to decide that they were ready to welcome another whippet into their home. At the same time Piper and Digby joined our Rescue family and were in a happy and loving foster home just waiting for the right owners to come along. Well it was love at first sight for all concerned and now these two gentle soul oldies have settled in very quickly and are enjoying the beginning of a long and happy life with a stay at home Mummy and Daddy, two cats and 2.5 acres to explore. 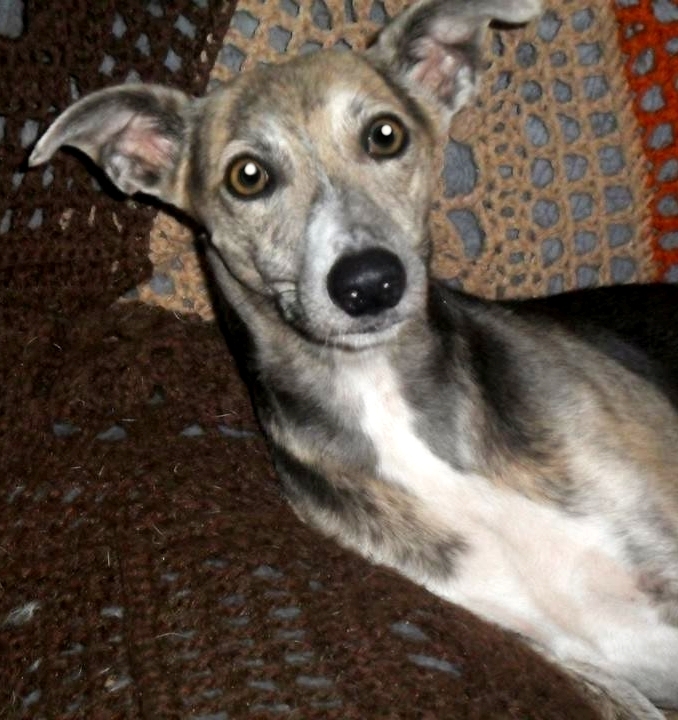 Thank you to everyone for the many kind offers received re Georgia ... we can happily post this update to say that she has found her furever home with lovely new owners and new 'sisters' nine year old Gidget Whippet and a pussycat. 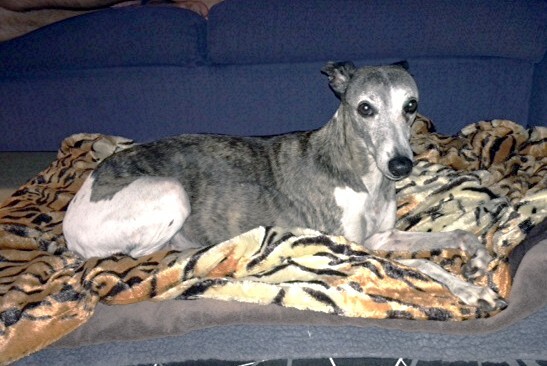 Wipper's elderly owner passed away and his family couldn't keep him so they contacted Qld Whippet Rescue in January in the search for a new home for him. As Wipper loves kids and had been use to having someone at home with him all day we were able to place him into his new home very quickly. 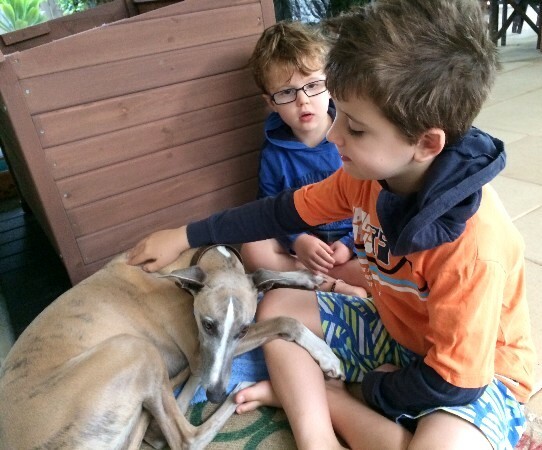 Wipper has settled in very well as you can see and loves his new brothers as much as they love him. He gets to go on the school run, to cricket, out jogging with Lucy and has even been camping. Lucy says he has settled in perfectly and they couldn't imagine their life without him. We are thrilled to be able to say that Lily and Jack who were looking for a new home after their original owner died, have found a wonderful new together home with a lovely couple! Vincey from southern NSW was looking for a new home with a family who would be home most of the day, as he was being left alone all day while his mum worked and he wasn't a happy boy - escaping from his yard to hunt rabbits! 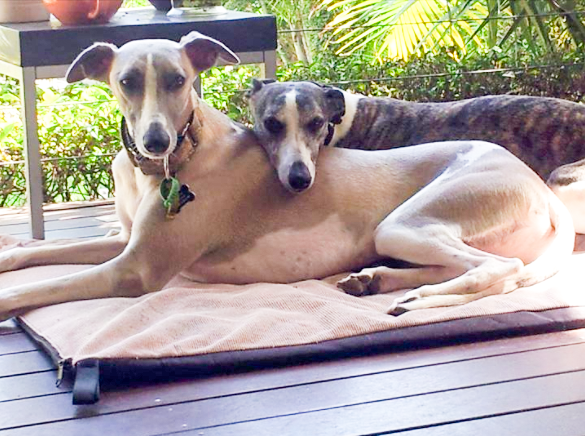 Within 3 hours of his mum making contact with Qld Whippet Rescue, Vincey had a new family lined up in Brisbane, and two days later was on a plane, and we are happy to report that he and his new 2 legged brother Connor are the best of friends. Vincey has found his forever home which he shares with two cats and a baby brother, as well as rescue greyhound 'cousins' to play with. Welcome to Brisbane young Vincey and thank you Jodie and family for welcoming Vincey into your family. Wonderful news - Harry has found his new family. He has a new brother Ringo who just happens to be a rescue Greyhound. Ringo's whippet brother George past away in July and Ringo has been very sad and lonely. His mum Debbie decided it was time for another friend and saw that Harry needed a new home with hopefully another dog for company. Seems to us like a match just meant to be. 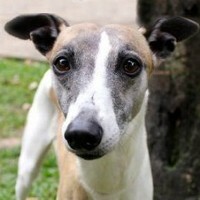 We would like to thank Debbie for contacting Qld Whippet Rescue and offering Harry a home.